Score: Schefter - 1, Dilfer - 0. In what is now a public feud between the two ESPN colleagues over last week's reported asking price for Jimmy Garoppolo, Adam Schefter defended his reputation and fired back at Trent Dilfer on Tuesday morning on The Kirk & Callahan Show per Ryan Hannable of WEEI. “I will promise you that they are getting minimum of a first-round pick for Jimmy Garoppolo. Promise you.” Schefter said Tuesday, doubling down on last week's evaluation of Garoppolo's trade value in which Dilfer, an analyst and not an "insider", saw fit to publically refute. Dilfer, however, took it a step further, practically reducing Schefter's work to that of an errand boy for the Patriots front office. 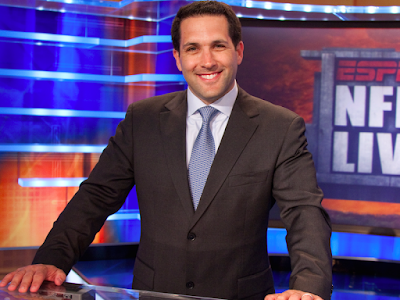 Schefter went on to send Dilfer back to the children's table on Tuesday morning. After Tuesday morning, this feud has as much of a "rivalry" feel to it as tilt between a hammer and a nail. Or for that matter, the Patriots against (insert AFC East team here).